Soaring…. On top of the World! We gently rode the wave. The only sound was the clicking of the vertical speed indicator. The louder it clicked, the higher the climb rate. It was obvious, the direction the thermals were rising. On the upwind side of the clockwise turn, the clicking accelerated. On the downwind side it retarded, and almost silenced. 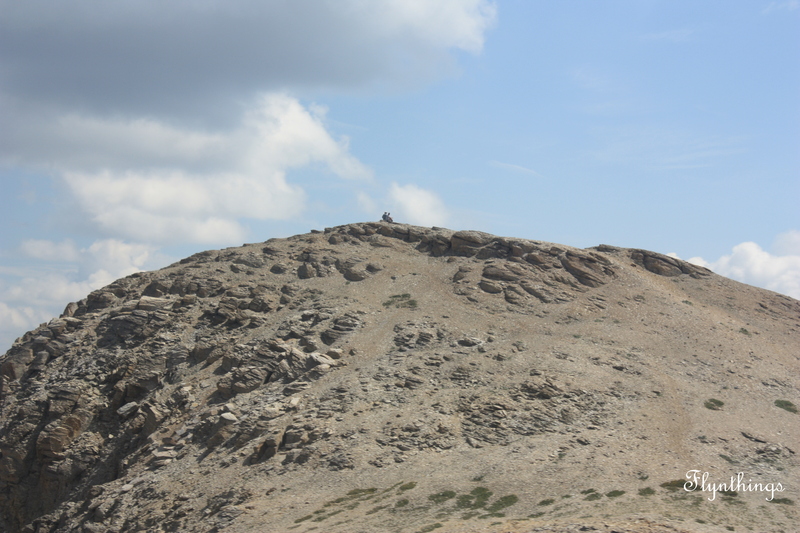 With each circling turn, we gently climbed and edged towards 14,500 ft. It was a gorgeous summer day. Except for a few puffs of clouds, there were clear blue skies. The mountains looked dry, desperately in need of some rains. The recent fires in the vicinity, along with the brown hills, only underscored the parched desperation of the earth. Down below in the valley, boxed in by the mountains, stood the town of Telluride. Forested mountains and cliffs surrounded it, with the Bridal veil falls interspersed at the start of the canyon. Up over the hill on the other side stood Mountain Village. A free gondola service connects the two towns, providing beautiful vistas of the area and even the airport. Predominantly popular as a skiing village, Telluride is still a delightful destination during summer. Hiking and biking trails abound. It offers picturesque views of the San Juan Mountains. A few miles away from the city, stands the airport as if on a platform. Sitting atop the Deer Creek Mesa, at 9,070 ft, Telluride airport (KTEX) is the second highest airport in the country (Leadville being the first), the first highest commercial airport in North America or twelfth highest airport in the world. Take your pick. We flew in contentment. Me happy to get some stick time, although I must admit, I have very little experience flying aircraft with Stick and Rudder and needed constant guidance. 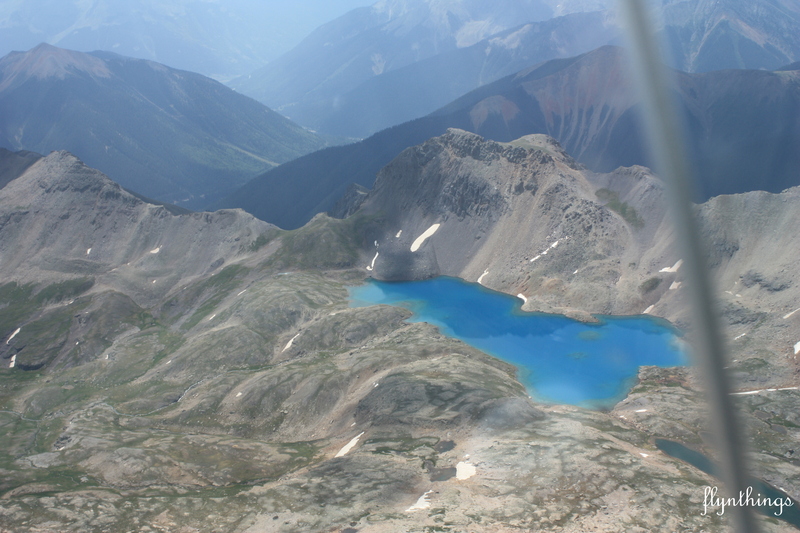 We flew waving at hikers who had reached the summit, over crystal blue lakes, mountain tops, watching a lone hang glider having too much fun, over roads and over the towns of Telluride and Mountain Village with Bob pointing key landmarks. 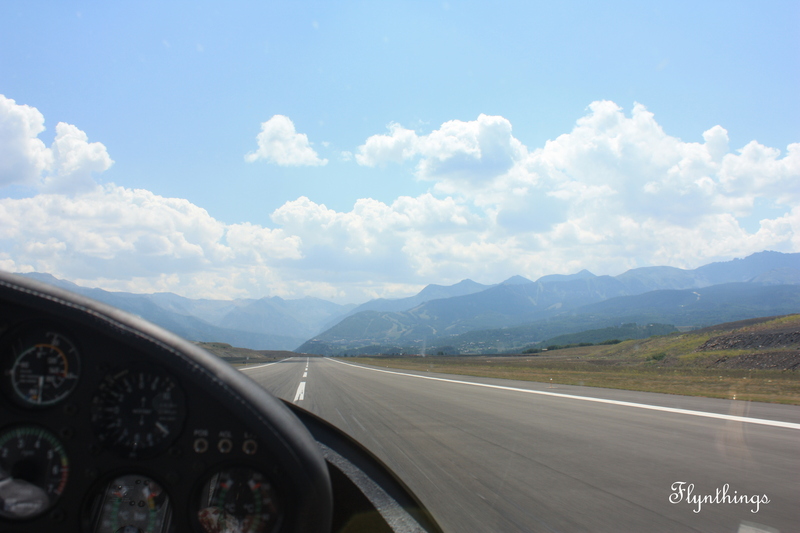 It has been a long time since I have been in a glider. Not since that fateful day when we did an emergency landing on Sixteenth St. I am happy to report, I felt no nausea or anything else that would let me believe that I don’t like gliders. But then, the Stemme is a beautiful, two seat, turbocharged glider. German-made, with a range of 800nm and flying time of 5 hours, it is faster and has greater endurance than a Cessna 172. And it is a glider to boot. The Stemme S10 is a self launching sailplane with a Rotax engine that can accelerate to speeds of 140 knots. Side by side cockpit with a huge glass dome that provides uninterrupted views of the surroundings. Spacious, with both a hand brake, and a leg brake, and adjustable seats, it is undoubtedly a favorite. If you happen to be in Telluride, and have an hour to spare, give Bob a call. 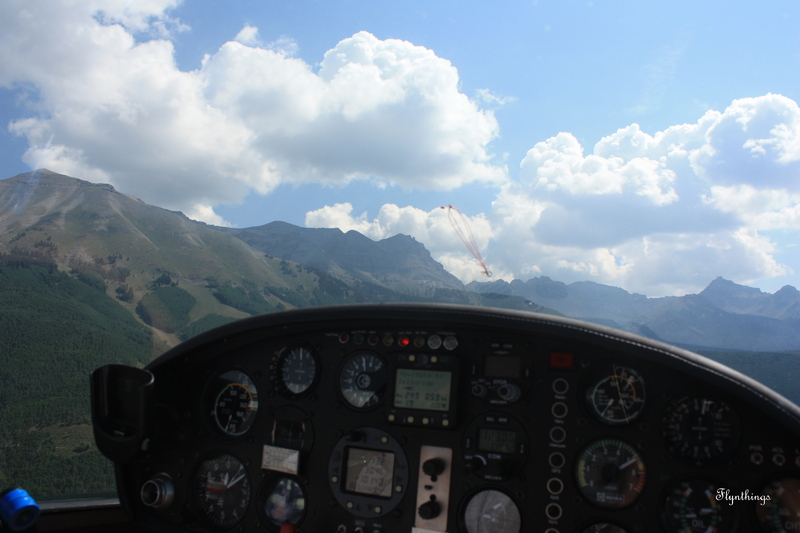 There is something to be said about soaring at 14, 500ft. Next Article Oshkosh: Nothing like that! You’re definitely brave to go in a glider, for some reason they freak me out. 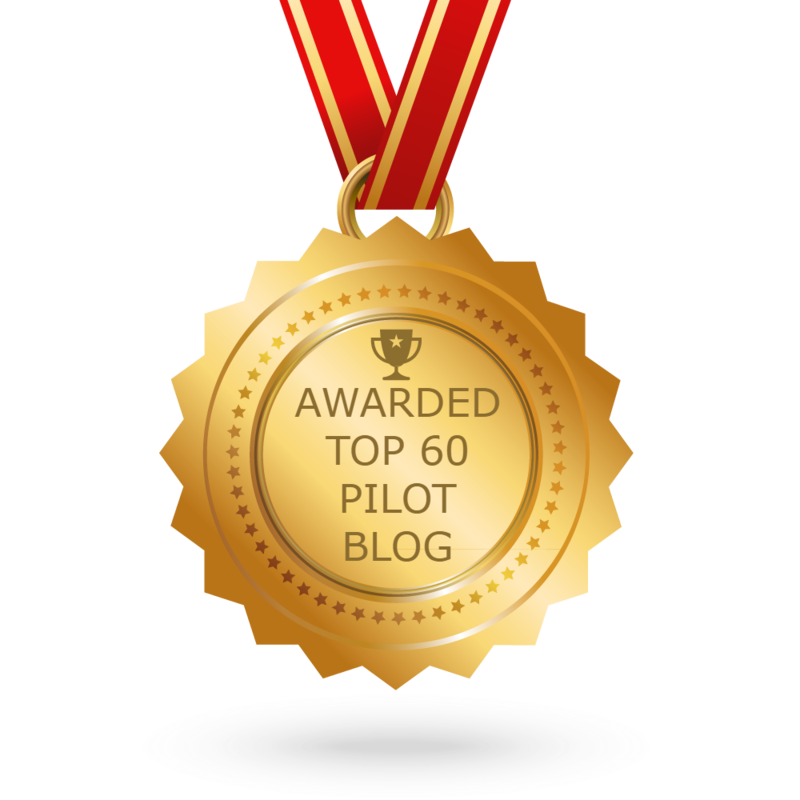 I love reading your blog and nominated it for a Liebster award on my blog. If you want to accept go to my blog and read the post “Liebster Award” to learn what to do. Can’t wait to read about your next adventure! Thanks Caitlin for enjoying my Blog. And nominating me for the Liebster Award.